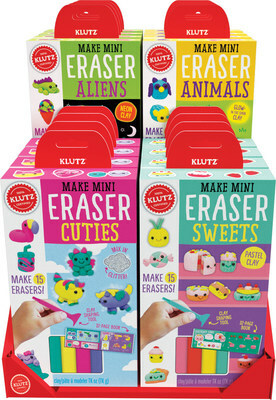 Launches New Line of "Mini Kits"
NEW YORK, Feb. 12, 2019 /PRNewswire/ -- Klutz, the award-winning creator of premium, book-based activity kits for kids, is introducing 27 innovative new products at Toy Fair 2019, including a new line of Klutz "Mini Kits." 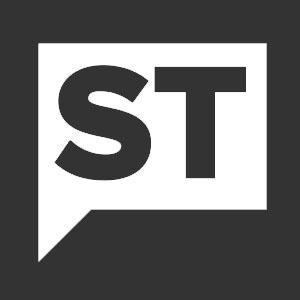 "Klutz is at the forefront of developing products that encourage exploration and experimentation," says Stacy Lellos, SVP & General Manager of Klutz. "We teach kids to invent, create and make, fostering skills-based learning in a fun, informal way." Klutz empowers kids by giving them quality content and components that guarantee success in creating exciting projects that make them feel proud. Klutz fosters creativity through guided open-ended play from the original Core line, to Klutz Jr. for 4+, to Klutz Maker Lab's STEM-based line of maker kits, to the latest introduction of Klutz "Mini Kits," perfect for impulse purchases with the same premium components and step-by-step instructions Klutz is renowned for. Stacy Lellos, 2018 Women in Toys Wonder Woman nominee, will be available for interviews during the show. Founded in 1977, Klutz® creates book-based activity kits that stimulate creativity and critical thinking in kids of all ages. By combining crystal-clear instructions, premium materials, and a healthy dose of fun, each kit builds creative confidence while encouraging hands-on learning. Klutz is a division of Scholastic, the world's largest publisher and distributor of children's books. For more information, please visit www.klutz.com and http://mediaroom.scholastic.com/klutz. Follow Klutz on Twitter, on Facebook, on Instagram, on YouTube, and on Pinterest @KlutzCertified.